The Falcons have a record setting day in Pennsylvania. Yet another major sports milestone happened in Pennsylvania that will go down in oral history and not recorded history. Maybe it’s not the same as Wilt Chamberlain’s 100 point game in Hershey, but Saint Augustine’s (1-3) beating Lincoln (0-4) at their house, 81-9, will live in CIAA lore for quite a while. Only 504 people witnessed this offensive juggernaut that came to life at Lincoln (Pa) for their first win of the season. The Falcons scored a modest 12 points in the first quarter before erupting for 35 in the second quarter and 27 in the third. When it was all over the Falcons had picked up 31 first downs, 271 rushing yards, and 331 passing yards. Lincoln ran more plays and won the time of possession but that clearly wasn’t an indicator for the outcome of the game. Darryl Johnson was three yards shy of a 300-yard passing game to go along with his six touchdowns. Jeremiah Miller led the way on the ground for the Falcons, rushing for 144 yards. Falcons extend lead to 60-9 over @LULionsAthletic in the 3rd Q, the most points in the modern era! 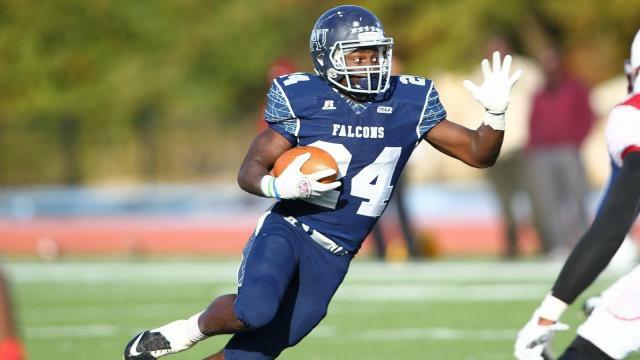 The Falcons put up the 81 points just one week after giving up 66 points in a loss to Bowie State University. Saint Augustine’s returns home next weekend for a matchup with Virginia Union. Lincoln hits the road for a trip to Winston-Salem State.